The new glass elevator connects the "Pescatore" park located in the city centre to the Pfaffenthal area at the bottom of the Alzette valley. 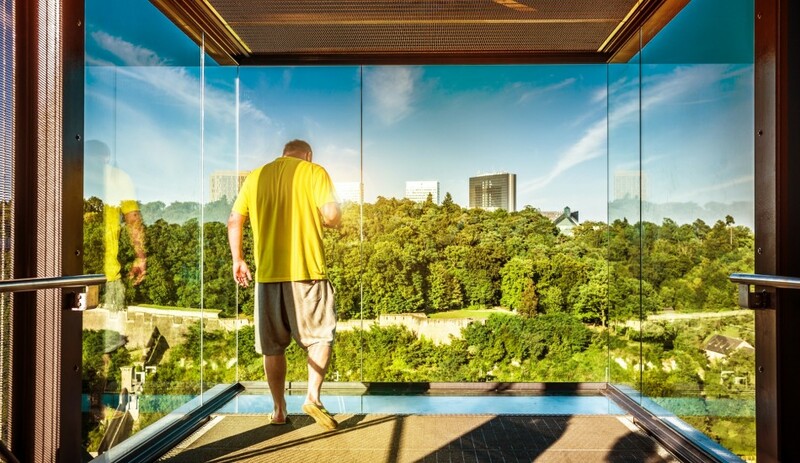 The ride in the glass elevator features sweeping views (71m high) for pedestrians and cyclists alike. Using the elevator is free of charge. The elevator is running every day from 6 in the morning until 1 o' clock at night. Every first monday of the month, the elevator is out of order due to maintenance (from 9.00 am till 5.45 am the following day) .